I’ve just been invited to enter some work into a group exhibition in Oxford in April 2015 on the theme of sea… Which I’m very excited about. Desperately grasping at straws I’ve been attributing a lot of behaviour to the moon recently (and part jokingly, though I do believe there’s something in it – lunatic!). 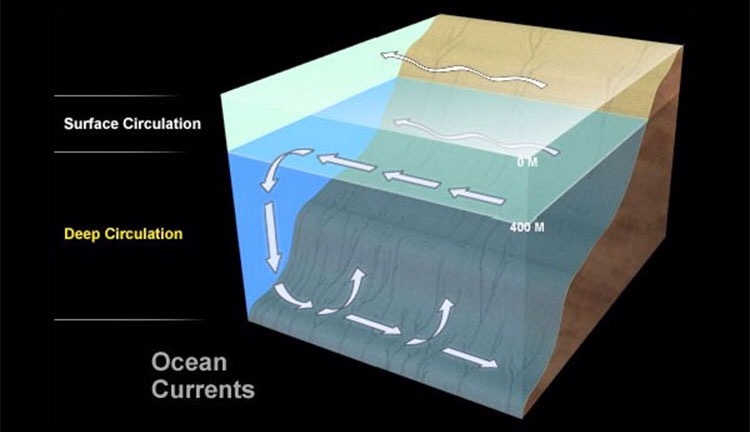 Which has brought my focus back round to thoughts about ocean currents – contributing factors resulting in activity taking place above and below a surface and their effects on that surface… Existing on a level. See also The Natural Course of Things. This entry was posted in Musings and tagged art, exhibitions, ocean currents, Oxford. Bookmark the permalink.